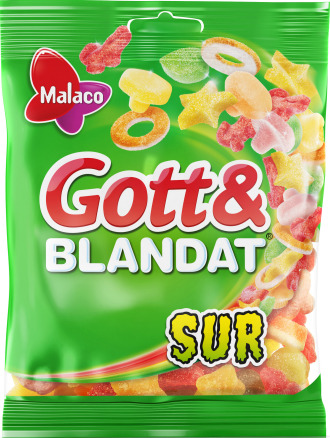 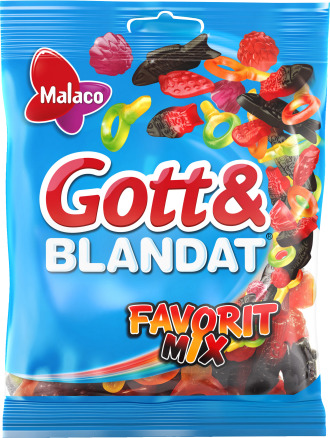 Gott&blandat Söta klassiker is a new mix for those who love the sweet things in life! 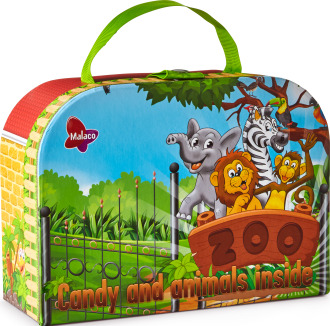 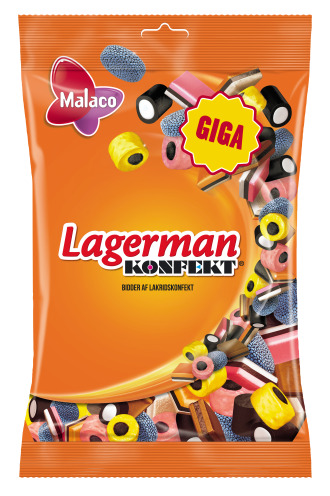 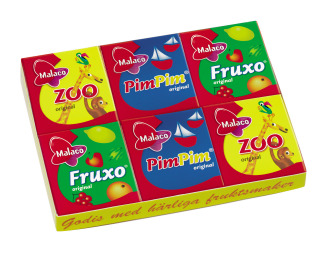 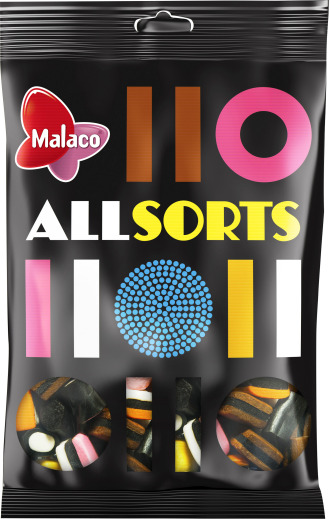 It is a mix of famous favorites such as Zoo, Nappar, Pastellfiskar, Fruxo and Colaflaskor and a perfect mix for those who do not love liquorice. 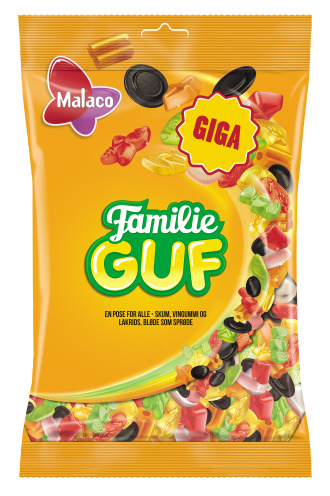 glucose syrup, sugar, starch, gelatine, acids (e330, e270), glucose-fructose syrup, vegetable oils (coconut, palm*, in varying proportions), flavourings, acidity regulators (e325, e331), stabilizer (e471), colours (e150c, e120, e141, e160e, e160a), glazing agents (carnauba wax, beeswax), paprika extract.